Hello guys! morning and welcome to this new section of my tutorial on CSS, we have really gone a little bit far on CSS and i believe by now you all can do some few stuffs using CSS. In my last tutorial post i talked about CSS margin and it various properties, now in this tutorial post i want to talk about CSS list. NOTE: that CSS list is not too different from HTML List. The only difference is that CSS list has CSS style rules applied to it. List are very helpful in conveying a set of either numbered or bulleted points. 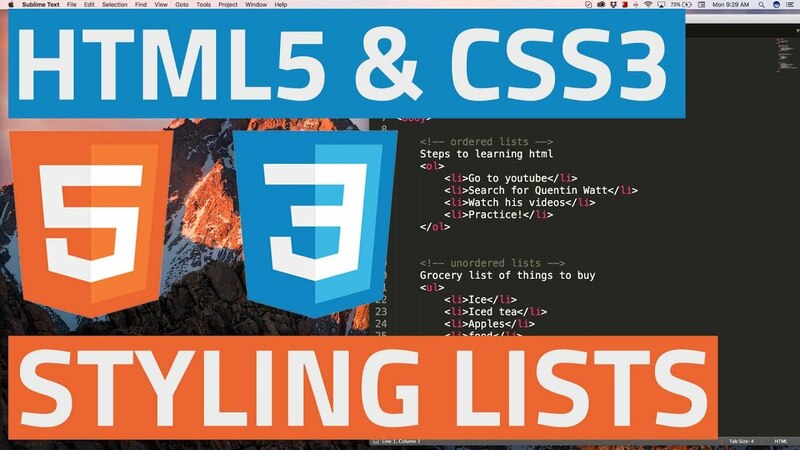 This tutorial teaches you how to control list type, position, style, etc., using CSS. The list-style-type allows you to control the shape and appearance of the marker. The list-style serves as a shorthand for the proceding properties. The marker-offset specifies the distance between the marker and the text in the list. Now lets take a look at how to use these properties with few examples. The list-style-type property allows you to control the shape or style of a bullet point (also known as a marker) in case of unordered lists and the style of numbering characters in ordered lists. The list-style-image allows you to specify an image so that you can use your own bullet style. The syntax is similar to the background image property with the letters url starting the value of the property followed by the URL in brackets. If it does not find the given image then default bullets are used. Alright guys! we have come to the end of this tutorial on CSS list, feel free to ask your questions in areas you don't understand very well, they will be attended to as soon as possible.